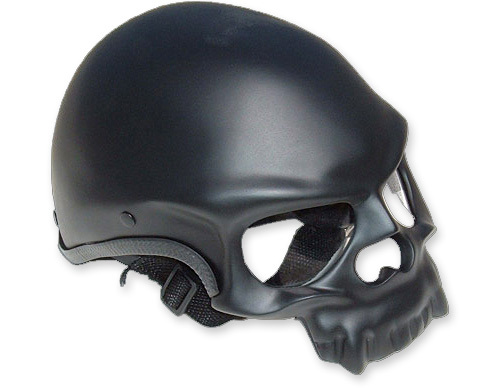 Though I cannot rightly imagine her actually wearing this, Ms M has a dreadful obsession about skulls and me, helmets… So. Skull for thought. What a combination. Looking forward to seeing you in your helmet.